← Saddle Creek is No. 12 on Golfweek’s 2011 list of “Best Courses You Can Play” in California. 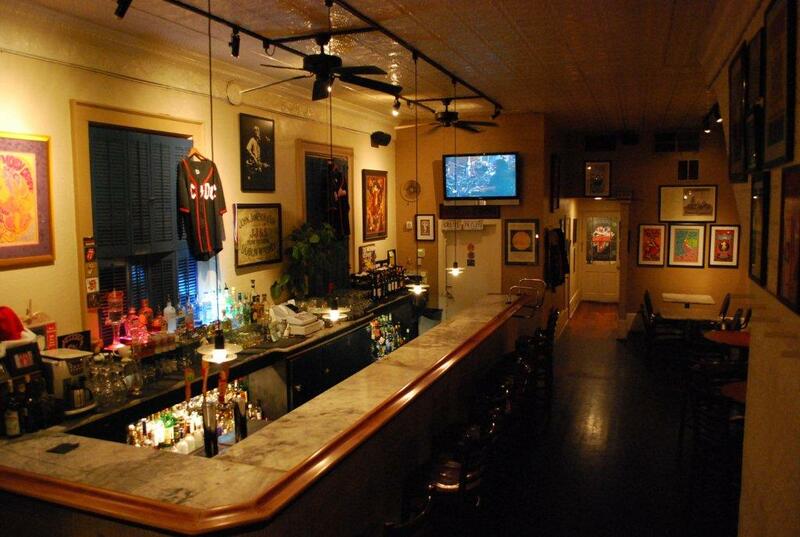 Azzo's Bar and Restaurant voted "Best of Mother Lode" by Lodestar Entertainment Magazine. 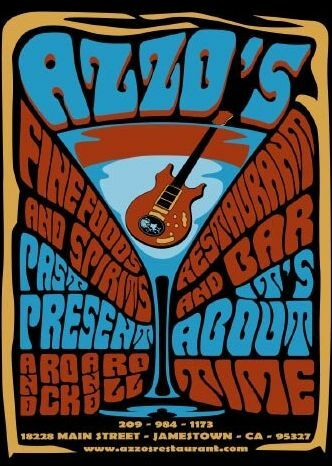 Whenever we go to Azzo's, we will either eat in the bar or in the restaurant. 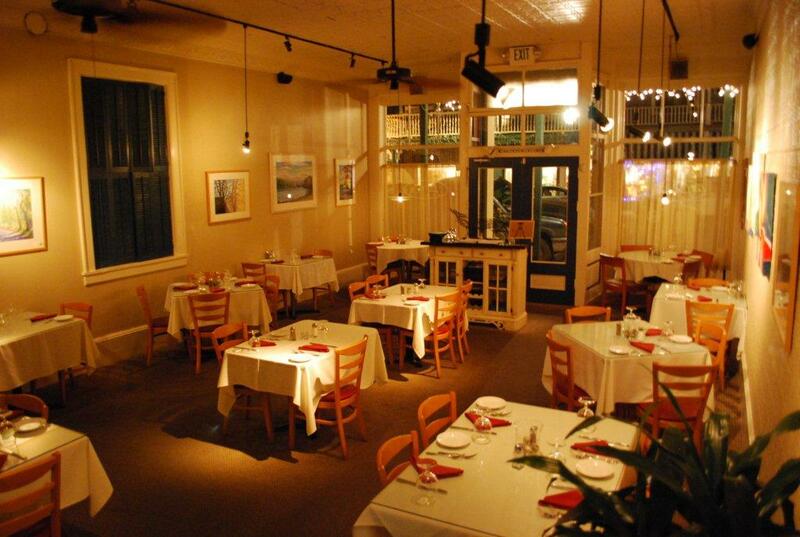 If it is more of a formal outing we always call ahead for reservations in the dining room, just to be sure that we can get a table. Regardless, we always show up a bit early to have a drink with Azzo at the bar. I prefer the New Belgian Fat Tire Beer that for some reason is colder than any place that I have had it. My wife prefers the "House Merlot", and since I am not a wine drinker, I have no idea what the actual name is. The cool thing about the bar is large plasma TV that is always playing a live classic rock concert. Azzo has 100's of classic rock concerts on DVD and it is makes it so much better when you can see the musicians as well as hear it. My favorite video is The Rock and Roll Hall of Fame where George Harrison and Prince were inducted. The solo at the end is awesome. 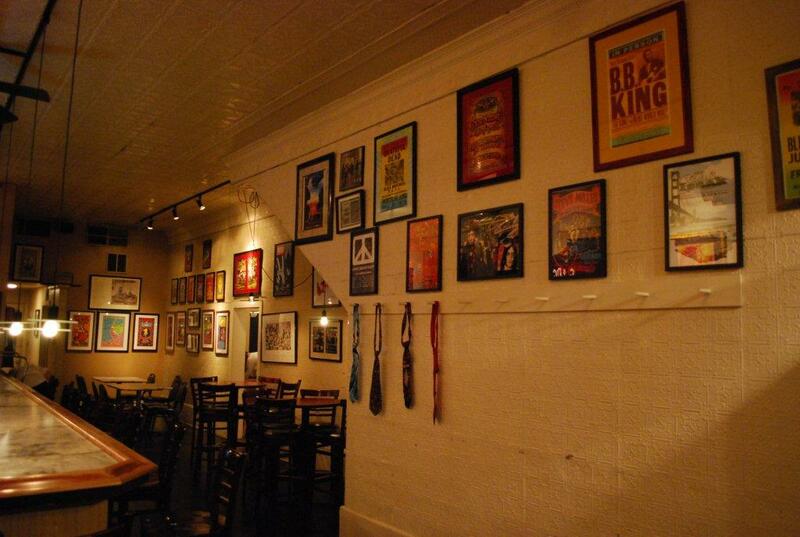 There is also a lot of concert posters and memorabilia that decorates the walls. My favorite piece is the Counting Crows at the Warfield two piece poster. Back to the bar, while I am there, I always order a cheese pizza with extra sauce as an appetizer. He has much fancier pizzas, but for some reason, I prefer the simple cheese. The garlic fries are also excellent and 2nd to only those served at AT&T Park. About this time comes the decision to either stay and eat at the bar, or head to the restaurant. The restaurant has a great atmosphere and I really enjoy the local artwork that is featured on the walls. The service can't be beat. For dinner, I almost always get the homemade pasta with marinara sauce and I add grilled chicken. It is so good that I rarely stray and order something else. My wife normally orders the salmon depending on the menu or she orders the "Greg's Salad" which is actually not on the menu and is named after one of the regular patrons. Dessert is always an option and they have won multiple awards for their desserts. Lately, I have been getting the chocolate truffle cake which is awesome. 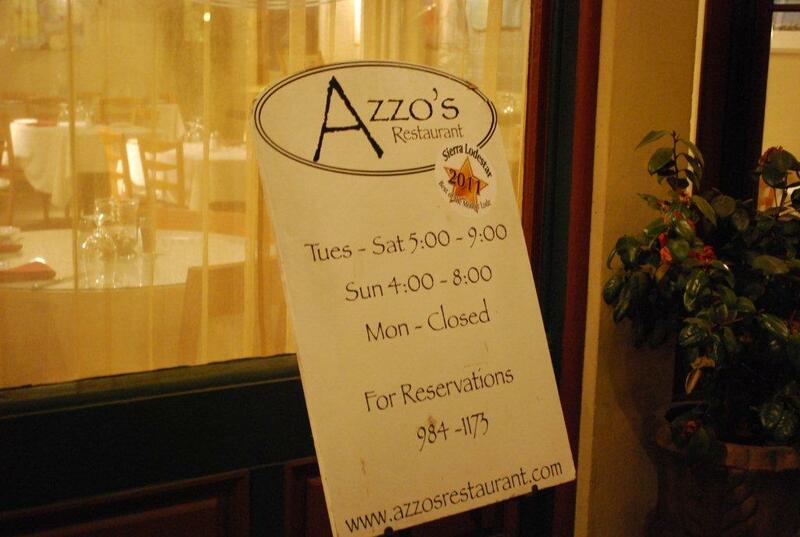 For Reservations at Azzo's, call (209) 984-1173. This entry was posted in General Real Estate Info, Lake Tulloch, Lake Tulloch / Copperopolis Restaurants and tagged 95228, Azzo's, Calaveras County, California, Columbia State Park, Copperopolis, Jamestown, Lake Tulloch, Restaurants, Sonora, Top 10 Restaurants, Top Ten, Tuolumne County, Yosemite National Park. Bookmark the permalink.